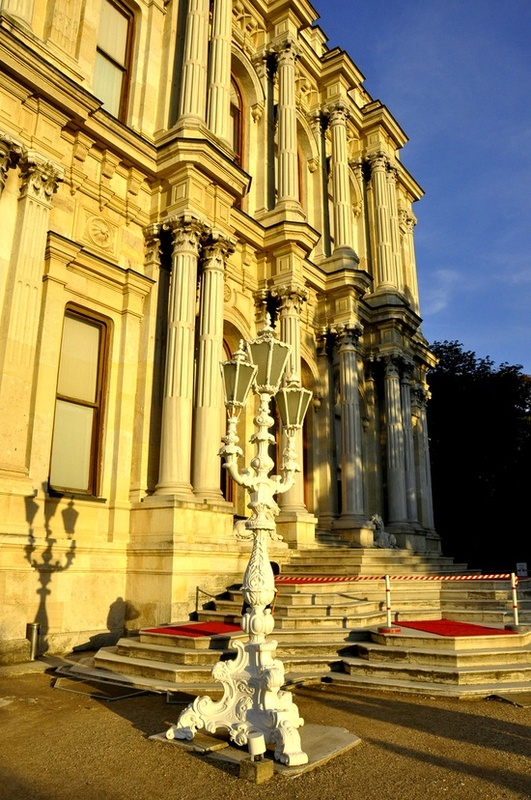 Beylerbeyi Palace was commissioned by Sultan Abdülaziz (1830–1876) and built between 1861 and 1865 as a summer residence and a place to entertain visiting heads of state. Empress Eugénie of France visited Beylerbeyi on her way to the opening of the Suez Canal in 1869 and had her face slapped by the sultan's mother for daring to enter the palace on the arm of Abdülaziz. (Despite her initial reception, Empress Eugénie of France was so delighted by the elegance of the palace that she had a copy of the window in the guest room made for her bedroom in Tuileries Palace, in Paris.) Other regal visitors to the palace included the Duke and Duchess of Windsor.